DAKAR, Senegal, Jun 11 2018 (IPS) – Hope, smiles and new vitality seem to be returning slowly but surely in various parts of the Sahel region, where the mighty Sahara Desert has all but ‘eaten’ and degraded huge parts of landscapes, destroying livelihoods and subjecting many communities to extreme poverty. The unexpected relief has come from the Great Green Wall for the Sahara and Sahel Initiative (GGWSSI), an eight-billion-dollar project launched by the African Union (AU) with the blessing of the United Nations Convention to Combat Desertification (UNCCD), and the backing of organizations such as the World Bank, the European Union and the United Nations Food and Agriculture Organization (FAO). The Sahara, an area of 3.5 million square miles, is the largest ‘hot’ desert in the world and home to some 70 species of mammals, 90 species of resident birds and 100 species of reptiles, according to DesertUSA. The countries include Mauritania, Mali, Burkina Faso, Niger, Nigeria, Chad, Sudan, Ethiopia, Eritrea, Djibouti and Senegal. There is also Algeria, Egypt, Gambia, Eritrea, Somalia, Cameroon, Ghana, Togo and Benin. Elvis Paul Nfor Tangem, AU’s GGWSSI coordinator, told IPS that the project was doing well, gaining popularity and generating many other ideas as the implementation gains momentum. Tangem also said that the AU had begun working with the Secretariat of the Southern African Development Community (SADC) and the Namibian government for the extension of the GGWSSI concept to the dry lands of the Southern Africa region. Namibia, which borders South Africa, is located between the Namib and Kalahari deserts. Namib, from which the country draws its name, is believed to be the world’s oldest desert. If the GGW is indeed extended to Southern Africa, it will take the number of countries drawn to the project to over 20, making it one of the world’s largest projects ever. Fundraising for beneficiaries countries is being done through bilateral negotiations, as well as through national investments, the AU said. International partners including the International Union for Conservation of Nature (IUCN), the Global Environment Facility (GEF), Sahara and Sahel Observatory (SSO), among others, are also playing a critical role to ensure that the project is being successfully implemented, and upon its completion by 2030 will become the world’s largest living structure and a new Wonder of the World. The GGW is set to create thousands of jobs for those who live along its path and boost food security and resilience to climate change in the Sahel, one of the driest parts of the world, where the FAO said an estimated 29.2 million people are food insecure. The project founders said that by 2030 the ambition is to restore 100 million hectares of currently degraded land and sequester 250 million tons of carbon. Asked if the project is being implementing one country after the other, Elvis replied: “The implementation of the initiative is first and famous country-based, meaning all the countries are undertaking implementation at their levels. In Senegal, a total of 75 direct jobs and 1,800 indirect jobs, including in the nurseries sector and multipurpose gardens, have already been created through the GGW in the last six years, according to official statistics. Also in Senegal, where desertification has slashed 34% of its area, the GGW has since ‘recovered’ just over 40,000 hectares out of the 817,500 hectares planned for the project. This is good news for people like Ibrahima Ba and his family who left their homeland to move to Dakar in the quest of greener pastures. Now, he is contemplating a return home. “I’m planning to go back towards the end of the year to rebuild my shattered life. The Sahara hasn’t done anybody any favor by taking away our livelihood,” Ba, a livestock farmer Peul from northern Senegal, told IPS. An estimated 300,000 people live in the three provinces crossed by the GGW in Senegal. However, Marine Gauthier, an environmental expert for the Rights and Resources’ Initiative, (RRI) said a participatory approach was needed if the project was to be implemented successfully. “In a conflictual region, where people depend on the land for their survival and where there are numerous transhumance activities from herders peoples (Peuls) potentially impacted by the project, a careful participatory approach is needed,” Gauthier said. “Conflicts have already arisen a couple of years ago with Peuls (herders practicing transhumance, whose travels were to be restrained by the project). Just like any other environmental protection project, its capacity to engage with local communities, to make them first beneficiaries of the project, is the key to its success on the long term. “Participatory mapping is a very successful tool that has been used within other projects and that could be of great help in defining and establishing the Great Green Wall,” Gauthier said. 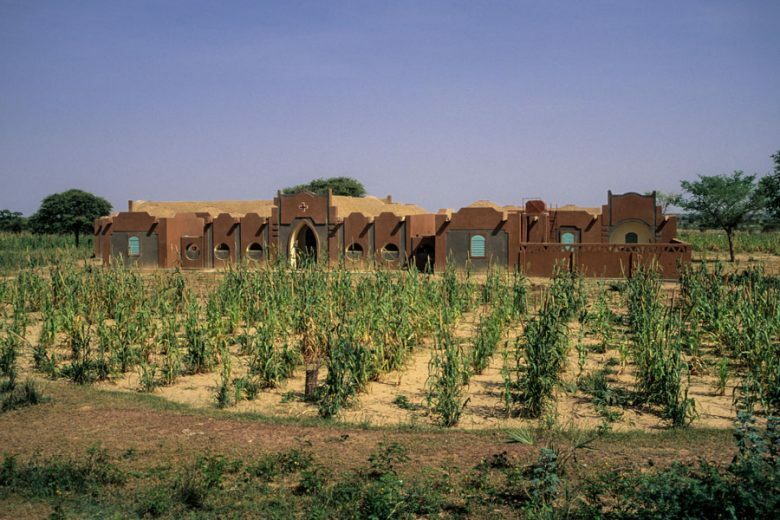 Furthermore, Gauthier said empowering communities would be very interesting at the scale of the Great Green Wall. “It would take a lot of efforts, consultations, financial and human resources. It is however the only way to ensure that this project, which people are talking about for more than 10 years now, reaches its goal.